I cannot express my mixed feelings around my overflow (collection sounds too decent) of lipbalm. I know my amount of lipbalms is just ridiculous yet I love variety in general. I rather not even show you my three number collection of lipsticks although I would LOVE to show you all at once. 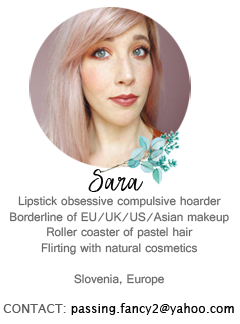 Being a massive (shameless) lipstick hoarder I cannot seem to find a good reason for such behaviour. Maybe it's the shape or similarity that makes me go nuts in lipbalm department as well. I did get some of them as PR gift or were gifted to me by friends. Also, they are extremely easy to use up in project pans. A good reason not to point at me with finger, right? Let us start with Labello, my oldest love. I still remember my favourite shimmery Labello from primary school. We were crazy over all kinds of color and shimmer- pink, gold...you name it. The more you had, the bigger the envy. Scent still brings me back in the past and gives me chills of happiness. 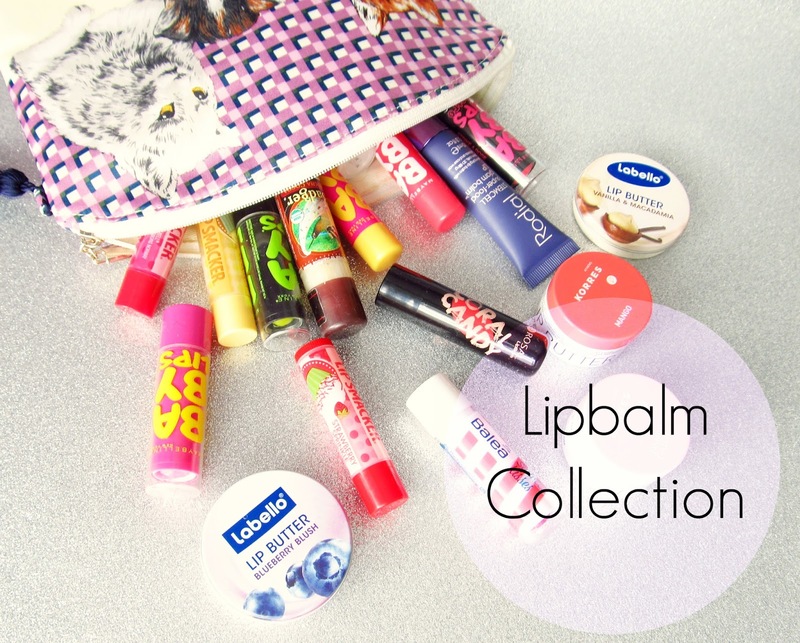 Luckily enough, Labello still sells some of my old favourites and is always adding new, fun lip flavours. 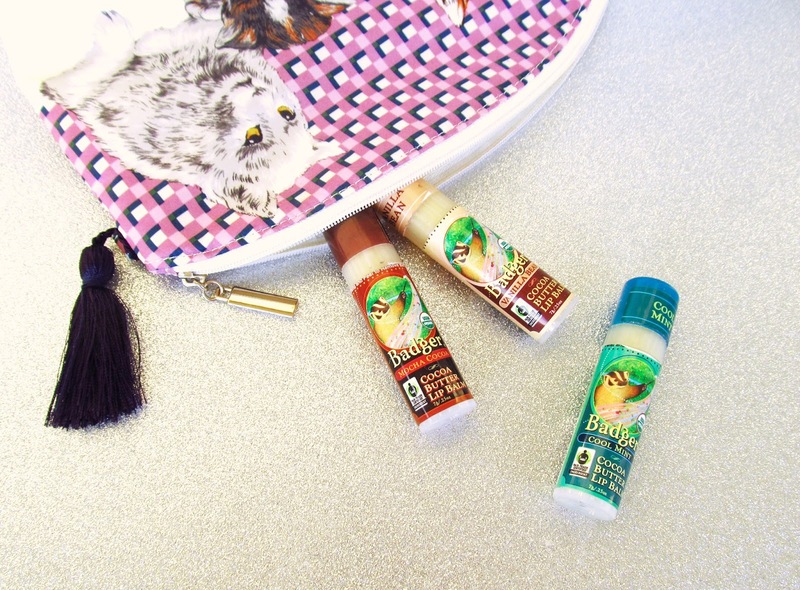 My current ultimate favourites are definitely Lip Butters, especially Caramel Cream and Vanilla&Macadamia. I still crave Original and Raspberry Rose though. For all of US ladies, yes, Labello = Nivea. You can easily get them in almost every grocery store for around 2-3€ or on iHerb. 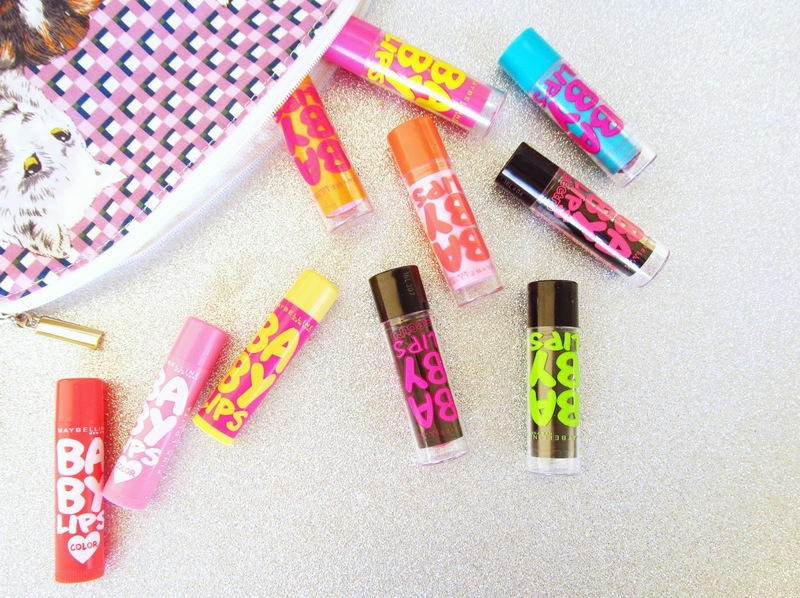 Maybelline Baby Lips can be a hit or a miss but packaging always gets me. In fact, I own two different kinds of Baby Lips - Asian and US/European version. A miss is definitely Peach and Moisture which irritate and give hardly no color payoff. I do however enjoy Grape, Mango and Pink Punch. Others are somewhere in between, not bad not great. You can find Baby Lips on Ebay or in your drugstore for around 1-3€. Korres Lip Butters were a revelation after trying Mango (review here). Buttery texture, perfected lips, amazing pigmentation and moisture. Creamy Jasmine on the other hand, crushed my initial thoughts. 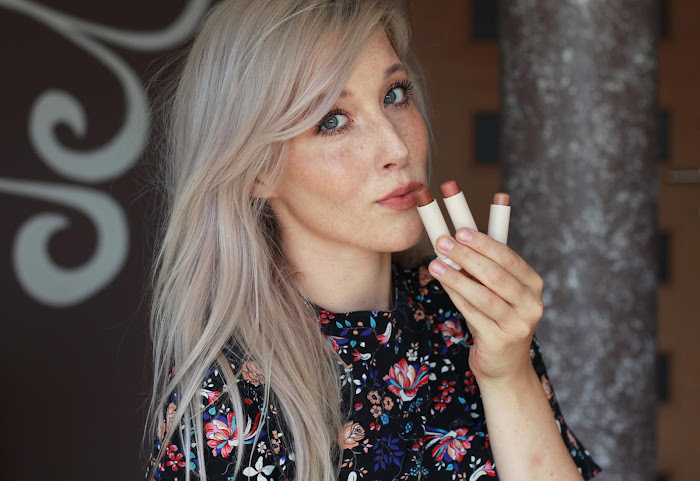 It's a lovely neutral tone but formula somehow irritates my lips after a few hours. Color also spreads uneven. I would generally recommend Korres Lip Butters but research colors beforehand. You can buy Korres on FeelUnique for around 10€. The Body Shop Lip Butter has a creamy, thick texture that's pleasant enough to use every day. I usually layer it before night sleep because of thickness. Every lip butter has a different smell that's on point - in my case, a rich chocolate smell. They are sold in The Body Shop for 6€. Nuxe Reve de Miel Lip Balm has a gritty, thick texture that is similar to glue stick. It's matte on the lips and has a citrus scent. I haven't noticed any special benefits from the day I started using it. It's definitely not my favourite but I like to layer it before lipstick. You can get Nuxe in pharmacies, Escentual and FeelUnique. Badger, my favorite natural lipbalm with no nasty chemicals. My first and still my favorite is the Vanilla Bean although Mocha Cocoa isn't bad either. I need to point out that they all smell exactly what they claim to be. They're all super moisturising and quite thick. They don't irritate my lips which happens with quite a few lip treatments. They are animal friendly, all ingredients are read-able and they smell heavenly. A true staple in my stash. Available on iHerb and FeelUnique for around 2€. Lipsmackers are fun, yummy and do their job. I wouldn't call them extra efficient but they do leave a medium thick layer - if that makes any sense. In general, I like them because of thick payoff and fun scents you can't find in other brands. I especially love Cotton Candy (used up unfortunately). My least favorite was Cherry Cola. Lipsmacker are sold in drugstores and Click2Chic for around 2,50€. Balea Lip Balms in general are quite waxy and not efficient. I usually buy them because of funky scents for lifting up my mood throughout the day. A recent new addition is Swirled Kisses which has a lovely, mild scent of bananas and strawberries. It also leaves a hint of pink on the lips. You can find them in every DM store for around 1,80€. Rosal Lip Balm came out with a new, summer collection of 4 different colors. I choose Morning Rose, a lovely medium pink, and Coral Candy, a bright coral. They are highly pigmented with UVA and UVB protection. I find them a bit hard in texture (that can easily break) but I forgive them considering the price. They are sold only in Croatia for about 2€. Vaseline Lip Therapy Rosy Lips is a normal, tinted Vaseline in a cute, tiny pot. Smells exactly like roses and leaves a slight tint. Nothing exceptional but does the general job. It's not the best for chapped lips. Rodial Steam Cell Balm has a lipgloss texture at first but transforms into a balm after a few minutes. Has a strong rose scent and does amazing job with soothing and moisturising. It's deep repairing and efficient yet it plumps the lips for a glamorous look. I got it as a freebie with magazine but you can find Rodial on Asos. Yu-Be Moisturising Skin Cream is a Japan version of Elizabeth Arden 8 Hour Cream. Highly concentrated glycerin heals and repairs chapped lips. It contains vitamin B2 & E and is safe for entire family. Heals and sorts cracked skin and I rely on it when I have a true massacre on my lips. Yu-Be is sold in Sephora and Ebay for the fraction of E. Arden price. ChapStick Hydration Lock is US based lip treatment brand. So far I'm not entirely impressed by efficiency but I like the idea of repair and moisture side in one lipbalm. Doesn't have any particular scent or color. Which lip balms would you recommend? Which one is your favorite? such a lovely post, thinking of venturing out now as i always just repurchase vaseline or carmex haaaa! Jaz jih imam okrog 15, ampak niso vsi v uporabi. V večini so to naravni balzami. Najljubši so mi Hurraw, ampak pri vsakem naročilu na iHerbu sprobam še kakšno novo znamko. Od tega, kar je na voljo v slovenskih drogerijah, mi je najljubši Bee natural acai jagoda, dobi se ga v Müllerju. Res velika zbirka. Ne vem zakaj še nisem preizkusila Badger Balm. Embalaže so cute in če še dišijo tako super-thumbs up:). Trenutno sem spet presedlala na Elizabeth Arden Eight Hour Cream, ker so ustnice v groznem stanju. Nuxe mi jih na žalost ni popravil. Drugače pa imam najraje Burt's Bees balzame. Vsekakor priporočam, da kakšnega preizkusiš če še nisi. Mango verzija zelo lepo diši, čeprav imam najraje kar tisto z medom:). No ja, dvomim da ima katera od nas minimalno :P Badger so sanjski!